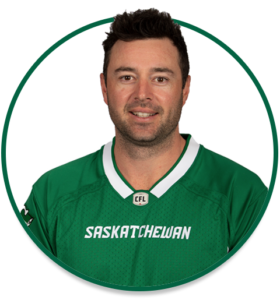 PRO: Signed with the Riders in January, 2016…acquired by the Riders in February, 2014…signed with the Hamilton Tiger-Cats in May, 2012. 2018: Played 18 regular-season games and the Western Semi-Final…had 122 punts for 4,995 yards (40.9 average – 64 long)…added five punts for 207 yards (41.4 average – 46 long) in the playoffs. CFL East Division All-Star: 2012, 2013. Tiger-Cats Most Outstanding Rookie: 2012. PERSONAL: Played Australian Rules Football with the Wodonga Bulldogs, Kiewa-Sandy Creek and Murray Bushrangers.